COLUMBUS (AP) — After 31 years in law enforcement, John Born has witnessed his share of crashes, crime and human misfortune. But it hasn’t made him cynical. 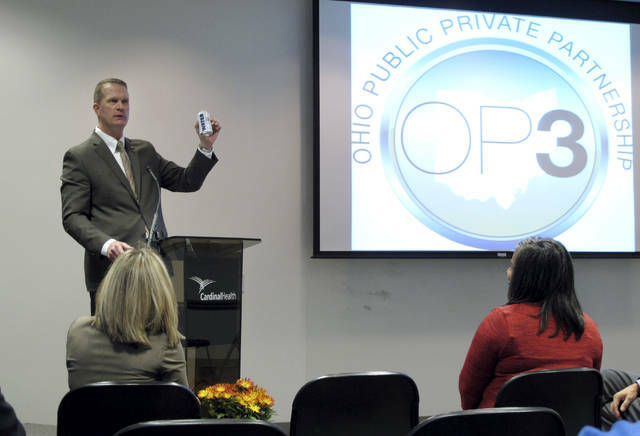 Ohio’s retiring public safety director said the secret to his optimism is in the numbers. Born, set to leave his job with Republican Gov. John Kasich’s departure, said arrests for weapons violations, felonies and drugs have increased dramatically across Ohio since 2011. Violent crime is at its lowest rate since 1975. Traffic crashes and fatalities are at a near-low in recorded state history. Born, 55, head of the state’s Department of Public Safety since 2013, attributes those successes to a greater emphasis on safety and preparedness, advances in technology and analysis and collaboration across regions and agencies. That has helped make Ohio a national model, Born said in an interview, citing a host of initiatives for improving law enforcement results in fighting human trafficking, improving school safety and easing access at the Bureau of Motor Vehicles. He said the state’s drug overdose epidemic has helped reduce infighting and increased information sharing among law enforcement agencies. “Crises tend to bring people together,” he said. State troopers in Ohio have seized more than 625 pounds of heroin, worth $42 million, since 2011 and nearly 80 pounds of fentanyl since 2013. The top 10 largest heroin seizures in Ohio patrol history have taken place since 2011. Despite such efforts, Ohio is still struggling to rein in opioid abuse, with a record 4,854 unintentional fatal overdoses in the state last year, with most of those deaths attributed to fentanyl, heroin and prescription painkillers. He also said average Ohioans play a key role in safety. Doug Scoles, Great Lakes regional director for Mothers Against Drunk Driving, said arrests aren’t rising because crime is up but because Born has employed “cutting-edge, innovative” approaches to problems. “The arrests, we don’t feel, are a sign of more disregard of the laws, it’s more of they’re doing a better job to detect impaired drivers and take them off the road,” Scoles said. Others question whether rising arrest rates constitute government overreach. Defense attorney Ian Friedman, who’s fighting the Highway Patrol over a 2016 drug seizure on the Ohio Turnpike, has said many stops are “nothing more than a pretext to have the vehicles and occupants searched for drugs.” He declined fresh comment Tuesday, because his client’s case is still ongoing. Kasich appointed Born to lead two high-profile commissions: one on police-community relations and one seeking to find bipartisan policy solutions to reduce gun violence. The department says more than 520 police departments employing more than 28,000 officers have now either met standards for the use of deadly force, recruitment and hiring and body cameras, and other standards, or are in the process. It also acknowledged a rocky start to the program after lack of communication with agencies led some to believe the state was blaming departments for police controversies. Kasich’s “common sense” gun safety recommendations have so far been rejected by the GOP-led Legislature, a defeat for Born as he leaves his role.